How do hair color removers work? How to use a hair color remover? Is color remover damaging to your hair? Why would one need a hair color remover? Well, when one decides to make a huge change in their life, it’s usually accompanied by a big makeover. Women like to choose new hair colors to symbolize a “fresh start”, but this isn’t always the case. Some women just like to encounter new experiences! If you ever dyed your hair, you know how complicated it can be to get rid of the pigment, especially if you bleached your hair before. You will need to use this product to bring back your undertones, but which one is the best hair color remover? It’s a lot of science, to be honest. A lot of chemistry and biology is involved in this, often simple looking, process. However, most of the professionals that tend to do hair treatments talk to the customer about the products they will use before they actually do anything. Why? You probably know that a lot of products used on the hair to alter color and tone are very damaging, full of chemicals. A hair dye remover isn’t that harmful, actually, but it removes the permanent oxidative dye in your hair. You need to know a bit about brands and ingredients to find the right product for you, but the goal is to choose those without ammonia and bleaching agents. The smell is very strong most of the time so it’s best if you could get someone else to do the whole thing for/with you (safety first). But, how does a hair color remover work? The color you dyed your hair in entered the hair shaft and so the remover also needs to do that. It breaks down the molecules of the dye and the particles soon become small enough to be “weak” and they have not attached to the hair anymore so you can wash them out. A color remover won’t make your hair lighter if you didn’t previously bleach it. Also, if you bleached it, you won’t get your “before-hair-color”. A permanent hair color remover is really easy to use and you can do the whole process at home, but it would be best if you could actually have someone else do it for you. Why? Because there is some really thorough washing involved: your hands will hurt and you really need to pay attention to leftover color. First and foremost, it’s really important to protect your clothes. Wear an old baggy shirt you don’t need anymore. You should put on gloves and use only plastic/glass tools. You need to shampoo your hair two times with a special shampoo which is called clarifying shampoo. It’s like your regular shampoo, but the formula is much stronger. After that, you mix together the ingredients of the hair color remover. It’s important to pay attention to the instructions which tell you how much of each do you actually need (sometimes the whole tube is way too much). You need to work fast now! Each second that passes by marks lower strength of the product. Some people like to use brushes to apply the remover, some people use their fingers. After you are all covered, put on the processing cap and apply medium heat for 20 minutes: a blow dryer could do the job too. This makes the whole process much faster. The last part is to rinse. It’s very important that you leave no residue of the product. Multiple rounds are needed. If your hair is feeling dry at the end, you should probably put some conditioner on. A lot of hair products create awful texture and make the hair very weak, yes, but color removers mostly aren’t a big concern. All you need to focus on are the ingredients: no bleaching agents and you’ll be good to go. It’s a bit complicated to actually work out which products are good and which are not so we decided to do some research and make a list containing all of the best products we could find. We read reviews and compare the statistics. This product is especially focused on those who have gone through more than one different hair dye jobs. Usually, the hair becomes lifeless, dark, flat and B4 Hair Colour Remover can help those issues. It is safe and it doesn’t mess with your original hair pigment. If your hair is now darker than it was, you will get your old light hair back, but if your hair is now lighter, you may get a middle result back because some dyes mess up the original hair protein when they are used after bleach (which has to be used to go from dark to blonde). It was formulated to work in 20 minutes only and the company says that it should be more than enough. Only 20 minutes of your time will need to be spent using this ammonia-free, bleach-free hair color remover to get your original color. Yes, you heard us, no bad chemicals! 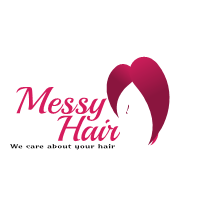 It is completely safe to use and there are no worries about frizzy and weak hair. It removes both semi-permanent and permanent color! It is good to do a patch test on the skin behind your ear first, just to check that you are not allergic to the ingredients. With this product, you use equal parts of the mixtures. You can see many reviews of happy women and men that saved their hair: it seems to work especially well on red hair dye. This is another healthy product that will help you go back to your original hair color. No ammonia and no bleach, so safe that you can even do a new hair color the same day – no damage! With this remover, you can remove up to 3 shades of color. It’s a simple no-drip formula made to be used easily, no stress! It takes one hour to get the effect and you need to start with the darkest parts of your hair. This is the most popular hair color remover in the world, Amazon claims. It is by the famous company L’Oreal so many people decide to try it out. It is used as a foaming bath that you can easily wash your hair in. This product helps with color-build up, but won’t restore your original hair color. What is great is that the whole packaging is an instruction manual which is written out carefully: it addresses hair color, hair type, and shades. The timing for each case is mentioned (5-60 minutes). You shouldn’t massage your scalp with this one either, because of the sulfates, but you can check out the full directions on the product. It is often used in professional salons. First off, you may be wondering about the price: don’t worry, you get 6 pieces in the box. This product, similar to the previous one, isn’t made to be a hair color restorer, it just corrects the design and removes unwanted permanent hair color on the specific areas. It has three parts: the color reducer, the conditioning catalyst, and the processing lotion. It’s important to use them in the right order and for the right amounts of time, but you can check out the full instructions on the box! This Colorfix Kit contains argan oil which means that your hair is being nurtured too! It’s really important to take care of your hair during all of this complicated processing. This is a semi-permanent hair color remover that does a great job without leaving any damage on your hair. It’s a single-agent remover that fades pigments and it makes the hair softer and smoother in the process because it has a hair coating polymer in the formula. The whole treatment usually lasts between 35 to 50 minutes altogether. You need to leave the product at room temperature before and during use, otherwise, the results may not be as good as expected. This is a similar product to the previous one because it is the same company, which means the formula is pretty similar too. However, this set also removes permanent hair color (the last one worked on semi-permanent only) without making any damage. It is a gel type of a product, really easy to use and it is also really gentle. You need to use the heating cap with this one and the manufacturer says that it would be a good idea to use Coating Changer before the Color Changer. Our last product removes semi-permanent hair color, ACID and Hair Manicure as well, all without creating any damage to the hair. It is really gentle, but strong, and it will help you “undo” the actions that you regret. You can use it alone, but it would be better to use it with the Super Changer+ bleach powder in a 1 to 1 ratio. If you want to keep your hair healthy, we would recommend avoiding the bleach. The treatment has to be applied for 20 minutes and you need to wait for 10 more, perhaps on a higher temperature. It’s great that the product itself has no bleach powders or oxidizers, they are just giving you the choice to make the effect stronger if you wish to do so. A hair color remover is definitely something you will need at some point if you often color your hair. What is the best hair color remover is very hard to tell because it depends a lot on you. What is your hair like? What hair color are you getting rid off? What do you want the end result to be? This list contains those we find best and we know that you will find your favorite one too! Just pay attention to the instructions and make sure that you do a patch test for each product. Keep the room full of fresh air and don’t improvise too much. Good luck!